Vic Whitten hails from The Great Peach State and started improvising as a 6th grader. He has grown at least an inch since then. Vic has performed as a part of various troupes during middle and high school, was a member of the University of South Carolina’s Toast! 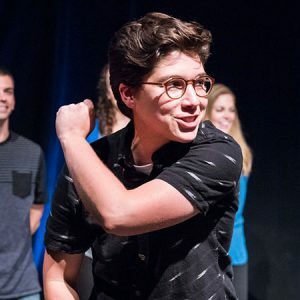 Improv team, hosted improv workshops for afterschool programs and competed in the Comedy Sports Improv competition. When he’s not doing improv, his life is consumed by (what feels like) the endless pursuit of a Masters degree in Global Health Policy and having a job that provides free food at least once a week.